In 1998 the Arts Council Lottery awarded the Contemporary Art Society £2.5 million to set up the Special Collection Scheme which enabled 15 museums throughout England to develop interesting and challenging collections of contemporary art and craft over a five year period. 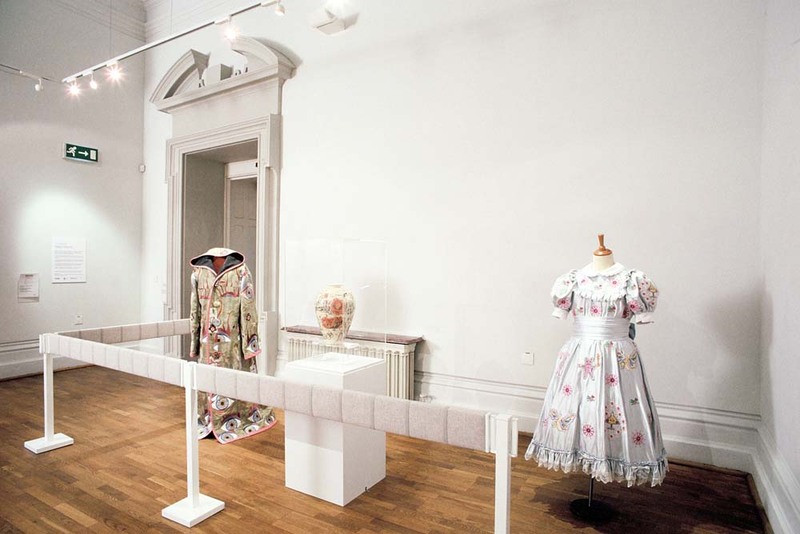 This group exhibition was the first showing of Nottingham Castle’s International Contemporary Textile Collection representing the work of 20 national and international contemporary textile artists currently working in the field. The collection includes ‘Doing Without: Sustaining 7 Square Metres’ purchased in 2002 and the collaborative outcome from Through the Surface Project produced with Kyoko Nitta, purchased for the collection in 2004. The exhibition also included a specially commissioned installation of 20 darned temporary ‘barrier’ pieces which directed the visitors through the gallery and protected the work of Turner prize winner Grayson Perry. A 64 full colour publication Revealed accompanied the project and included my own self authored essay Sustaining Seven Square Metres and an essay by Prof Lesley Millar on the Through the Surface collaborative work with Kyoko Nitta.